As a hospice nurse, I often find that when families learn all that hospice care has to offer, they are both relieved and concerned: relieved that the comprehensive list of services aims to comfort their loved one and assists them as the caregiver; concerned about how such valuable services are paid for. Many times people are hesitant to contact hospice because they are unsure of the cost. They are comforted when they learn once someone is medically qualified for hospice most hospice patients are covered through Medicare, Medicaid or private insurance. Often, hospice programs in Florida are also able to offer services to anyone regardless of ability to pay thanks to community support. Medicare Part A provides coverage for hospice services to people over the age of 65, including expert pain and symptom management, medicines, medical equipment and supplies related to the hospice diagnosis. Specifically, it covers physician and nursing services, hospice aides, spiritual, continuous care during crisis periods, trained volunteers and bereavement services. The hospice benefit does not require patients to be homebound. Hospice patients are free to go out to visit friends and family, or participate in other activities as they are able. A patient can remain in hospice care beyond six months if a physician re-certifies that the patient is terminally ill. Regular Medicare coverage is available to Hospice beneficiaries for non-terminal related services. 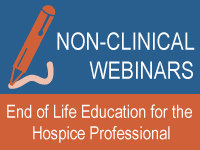 Keep in mind that the hospice benefit does not pay for round-the-clock care for patients; however, sometimes hospice social workers may be able to help figure out how to get additional care. Florida also offers Medicaid hospice coverage, which is patterned after the Medicare hospice benefit. Coverage by private insurance is similar to the Medicare and Medicaid Hospice benefits. Hospice services are covered for military families under Tricare. Sometimes a terminally ill patient’s health improves or their illness goes into remission and the patient can be discharged from service. Also, as a hospice patient, you always have the right to stop getting hospice care, for any reason. If you stop your hospice care, you will receive the type of Medicare or Medicaid coverage that you had before electing hospice. If you are eligible, you can go back to hospice care at any time. Contact your local hospice with questions you may have regarding coverage or expenses. You can find a listing of providers in your area by visiting www.floridahospices.org/find-a-hospice.